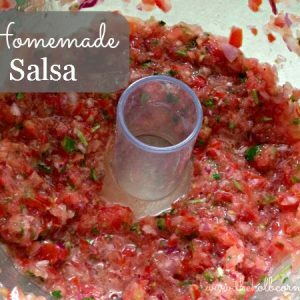 Roughly chop tomatoes, onion and jalapeno and add to a food processor. Pulse a few times to get the vegetables diced. Add in cilantro and pulse a few more times. Next, sprinkle in garlic powder, salt, pepper and lime juice. Pulse until desired consistency is reached. Store in refrigerator in airtight container up to one week.